This section originally contained material which was suspected of not complying with the GPL and was removed. Having been familiar with the Piper cub model in earlier versions of FG, I was pleasantly surprised by the improvement in detail. Overall the model seemed more accurate and the cockpit was especially pleasing. The aircraft starts with the engine ticking over, so increasing the throttle, rudder has to be used to keep the aircraft straight, but this brings the left wing low, and attempting to correct this immediately lifts the aircraft off in a second. Climb is good, and visibility is very good, enhanced by the view of the high definition model of the tire sticking out as seem from the cockpit. An easy aircraft to fly, the instruments, although as clear as any, take some getting used to, but then we are flying VFR. The RPM reads right to left, and there is an ASI, altimeter but no VSI at all. There are no radios or other electrical encumbrances. Landing was particularly easy, slowing down to 50 kt or so, and landing on the grass outside of KSFO which undoubtedly will not be permitted in real life. 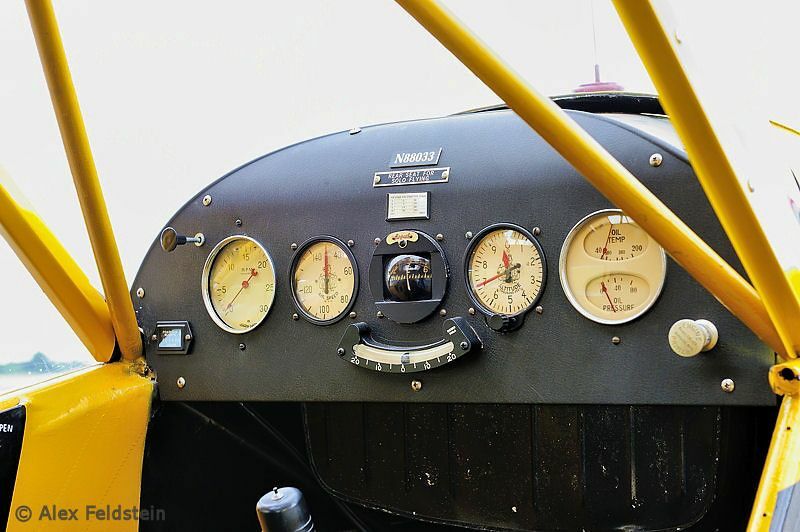 Probably the original LSA, the Cub will probably never lose its charm, and is well worth checking out. 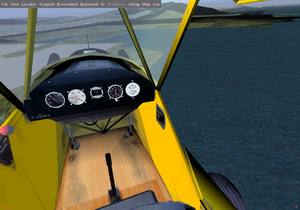 The J3Cub is capable of aerotowing over multiplayer by the glider pilot pressing Ctrl+o while behind the Cub. The aircraft was fully remodelled in April 2010 and made available as the Cub. 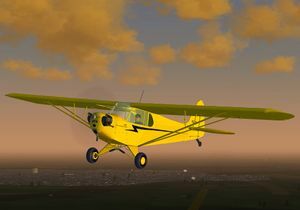 The original low resolution model is still available as the Piper J3 Cub in FGFS version 1.9.1 and older. As of 6/2015, a livery system and three new liveries have been added. This page was last modified on 25 February 2018, at 20:19.